It’s 7 p.m. on Saturday and I’m riding the Path train from New Jersey into New York City. Sitting across from me is a couple wearing Foamposites and talking about that morning’s Air Jordan release, the “Space Jam” XIs. “I can get them for $300,” the man says to his girlfriend. “That’s just how much they cost these days, I’m not going to bother entering a raffle or camp out for the sneakers. I can’t be bothered with that.” Jordan Brand had reportedly made a boatload of the sneakers, but they still sold out that morning. 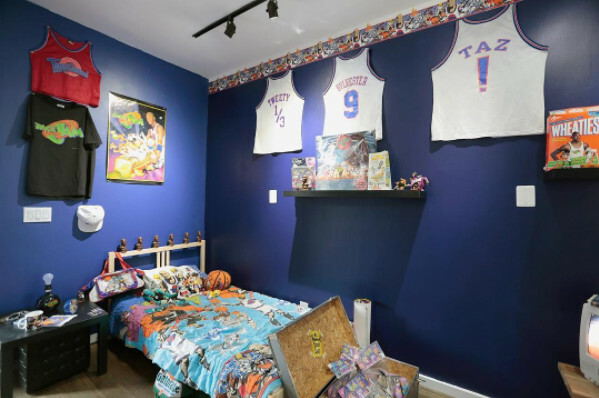 People had camped out for them overnight, retailers had set up themed storefronts for the shoes, and there was a genuine fervor for the sneakers that Michael Jordan wore in that animated film two decades ago. The 2016 release of the “Space Jams” would be the biggest Air Jordan release ever, and there’s good and bad that comes along with that. 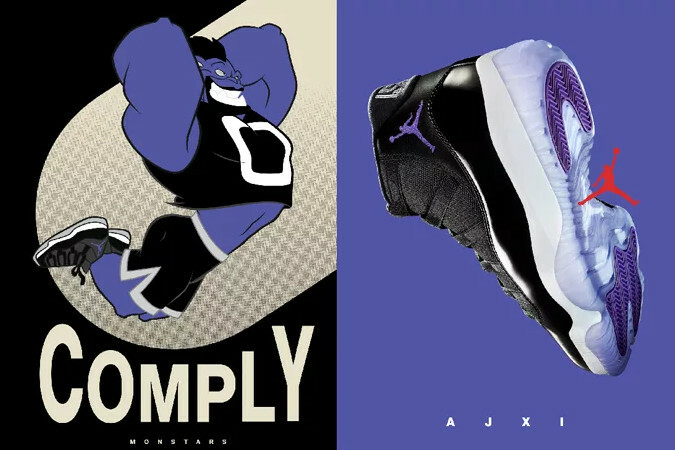 When the Space Jams last released in 2009, it was a culture-defining moment. The sneakers had been talked about for months and sheer pandemonium struck when they hit stores. Riots ensued, robberies were committed, and it got a whole generation of young people interested in collecting athletic sneakers. So the same fervor should have been for this year’s version of the Space Jams, too, right? Everyone was beaten over the head with everything Space Jam-related this year. It was the 20th anniversary of the film, and it was a major opportunity for Jordan Brand, which had lost a bit of its luster over the past few years, to cash in big. This time it wouldn’t just be about the Air Jordan XI, but the Air Jordan XXX1, Air Jordan 1, and even the Air Jordan IX that Jordan wore in the movie. Jordan Brand centered this year’s campaign about the other guys in Space Jam: the Monstars, which MJ and his Tune Squad played against to save the universe. It would be the biggest celebration of one of the most cherished sneakers ever. For the past eight years, there’s been a tradition of an Air Jordan XI releasing around the holidays. It’s become the moment the sneaker-obsessing public waits for every year, and the event gets bigger and bigger each time. It’s reached the point where it’s become so massive that it’s started to lose its shine a bit. Did everyone want the Space Jams, Concords, and Playoffs when they came back recently? Certainly. Did people start to lose interest once the “Gamma Blue” and “72-10” versions released? A little bit. But Jordan Brand still sold a million pairs of those sneakers. Here’s the funny thing about sneaker culture, as they call it: The bigger it gets, the more it loses its pizazz. Sneaker collecting has clearly gone mainstream, and the “Space Jam” Air Jordan XI has a lot to do with it. For better or worse, a sneaker release has become just as big as the next iPhone. It’s become one of the biggest pop culture moments of the past 12 months. The Air Jordan XI will always receive a big response when Jordan Brand decides to make a new pair, and it’s a shoe that genuinely connects generations. People who bought them in 1995 want them just as much as a kid who discovered them last year. So it’s complicated: The marketing campaign around the sneakers was fun and fresh this year. It felt nearly as big as the film when it first came out 20 years ago. Those who never saw the film were just as excited about the shoes as those who remember watching it as a kid. Michael Jordan fans of old bought them alongside those who only know him as the symbol for the most sought-after basketball sneakers on the planet. Sneaker culture isn’t some niche, you-have-to-be-in-the-know thing. It no longer belongs only to the deepest corners of NikeTalk or those who have secret intel of when local boutiques are getting shipments of new shoes. It belongs to everyone. There’s no barrier or entry-fee to call yourself a sneakerhead. You need to just buy the sneakers they put out and you’re in. And that’s OK. It might be frustrating to people on the surface, like the man who realized paying resale is the new retail. But it’s put sneakers in the spotlight, the place they always belonged.